That's made possible by proteins called photoreceptors that absorb light and convert it into a signal that turns genes on or off. Until now, scientists haven't fully understood the molecular mechanism underlying that process, which allows plants to recognize when they're in the shade and grow toward the sun, and to sense what season it is so they can bloom in spring. Researchers at the University of California, Riverside have identified the portion of a plant photoreceptor responsible for light-dependent changes in gene expression, as illustrated in a paper published today in Nature Communications. The study was led by Meng Chen, an associate professor of cell biology in UCR's College of Natural and Agricultural Sciences. Chen and his colleagues have been studying a group of photoreceptors called phytochromes that are sensitive to red and far-red light, and are conserved in plants, fungi, and bacteria. The research was done in Arabidopsis thaliana, a small flowering plant that is widely used by biologists as a model species because it is easy to grow and study. Phytochromes control plant growth and development by changing the amount or stability of another group of proteins called transcription factors whose job is to turn genes on and off. To find out how the photoreceptor regulates the amount of transcription factors, Chen's team turned their attention to the structure of the phytochrome, which has two functional areas called domains. While it is known that one domain (called the N-terminal module) senses light, the function of the other domain (called the C-terminal module) had remained unknown. Most scientists did not believe the C-terminal module played a role in signaling changes in gene expression in plants, but Chen disagreed. "We know that in bacteria, which use a similar protein to sense light, the N-terminal module senses light and the C-terminal module regulates the stability of transcription factors. However, the current model in plants is that the photoreceptor uses the N-terminal module both to sense and respond to environmental light cues," said Chen, who is also a member of UCR's Institute for Integrated Genome Biology (IIGB). Chen's group showed that the C-terminal module does in fact regulate gene expression, though it uses a very different method to bacteria. Chen said the findings have implications in agriculture, where farmers are increasingly looking to grow more food on less land. 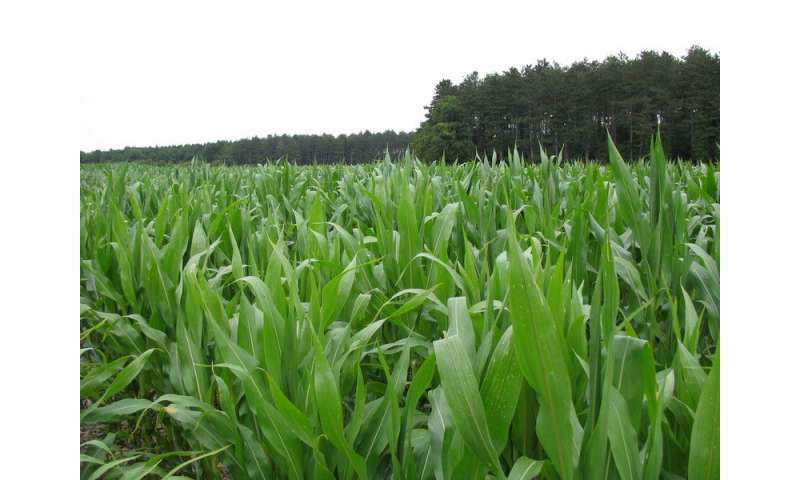 For example, when crops are planted at high density, they compete for light, often growing taller at the expense of yield. "Now that we understand how light is causing changes in growth and development, we can engineer plants to be blind to their neighbors, so we can plant them more densely without seeing a decrease in yield," Chen said. "We can take crops that grow well in one part of the world and engineer them to grow in other latitudes and climates."